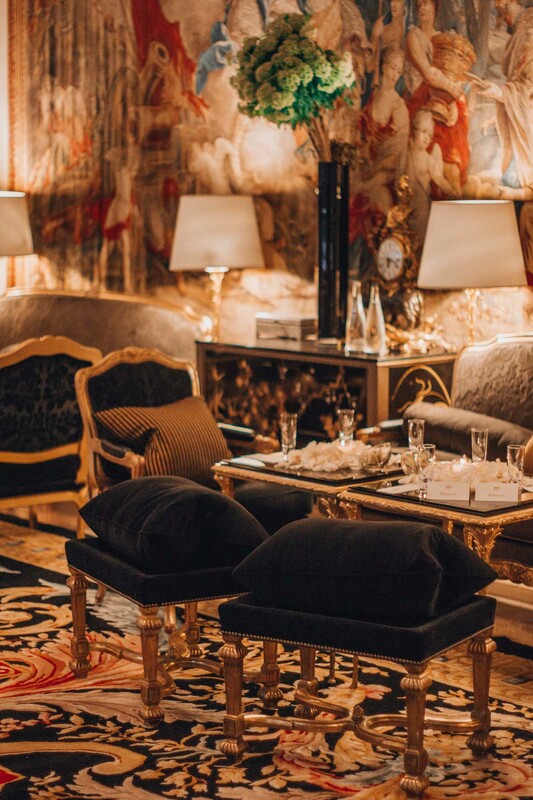 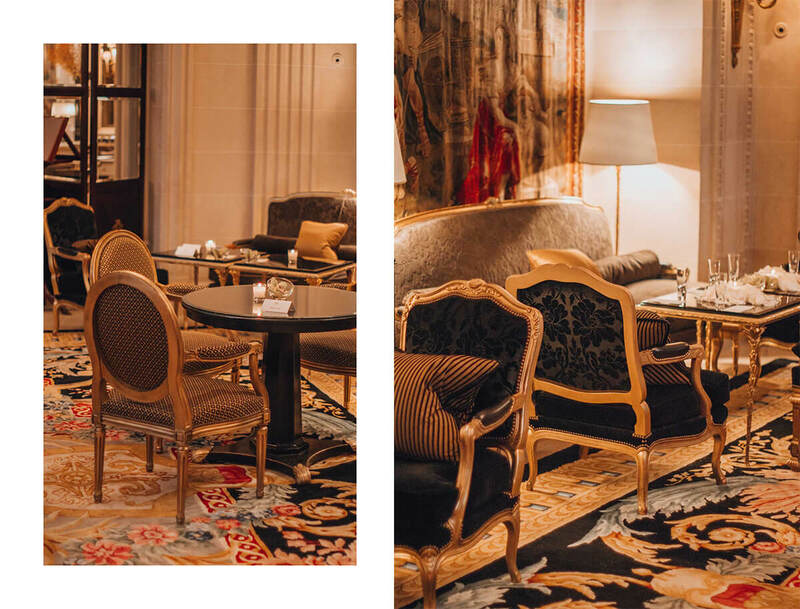 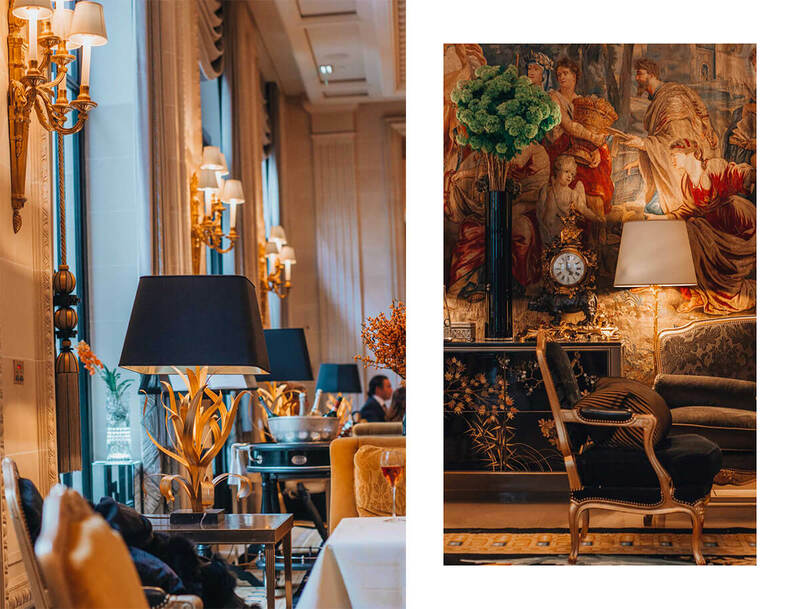 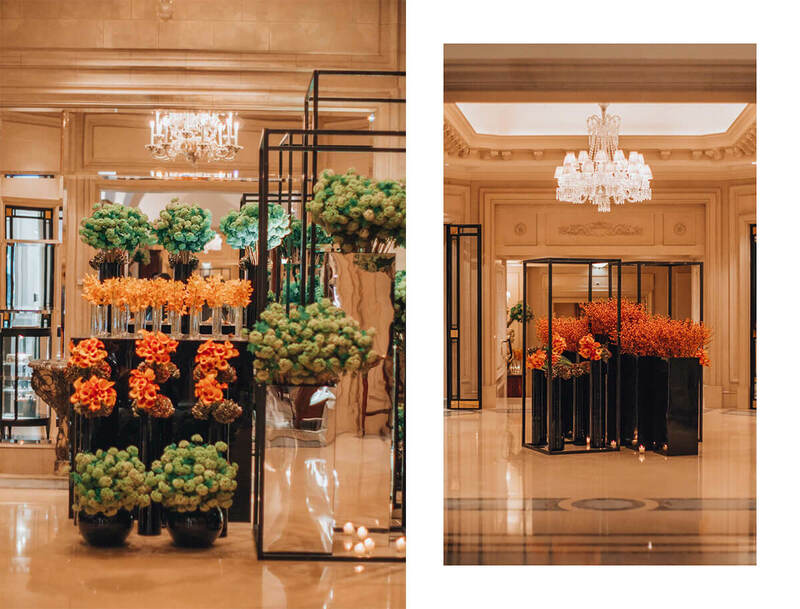 When you step into the Four Seasons Hotel George V Paris, the first thing you notice are the remarkable flower displays, which lead you to the La Galerie lounge, decorated with 19th century paintings, amazing Flemish tapestries and carefully selected furniture. 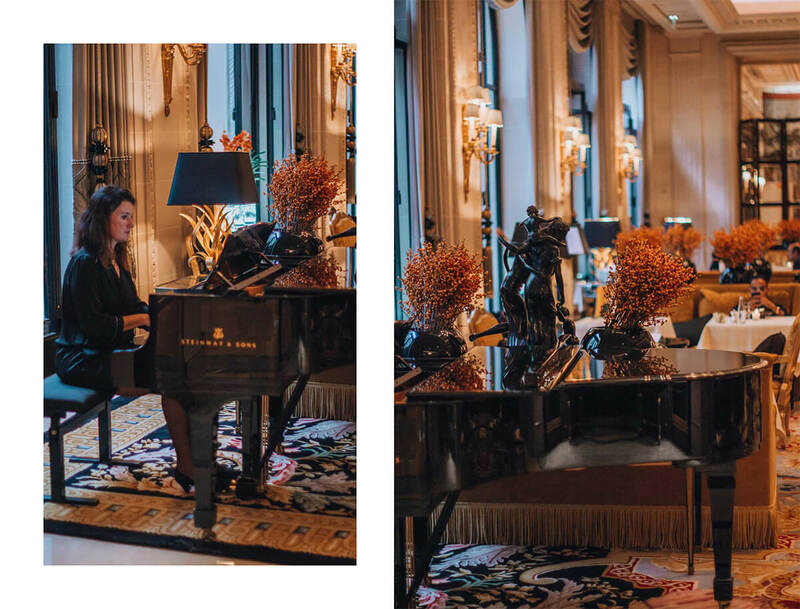 While a pianist plays in the background, you are welcomed by highly professional staff. 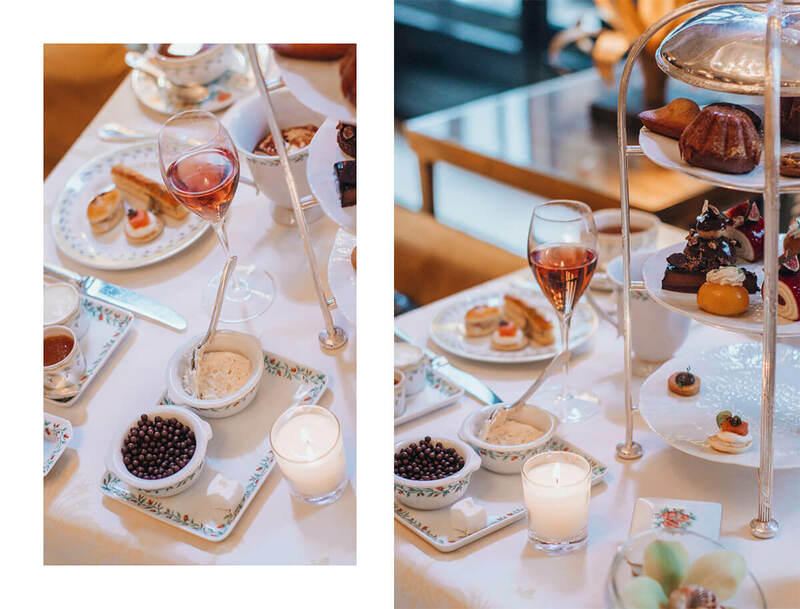 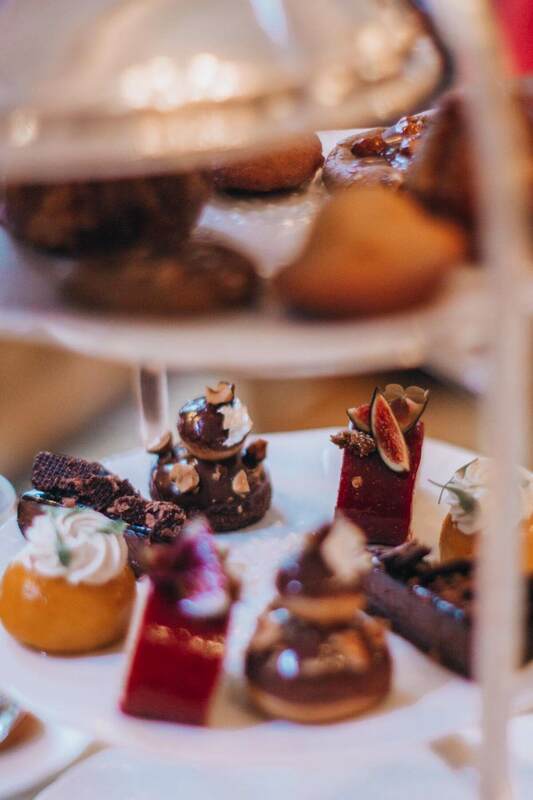 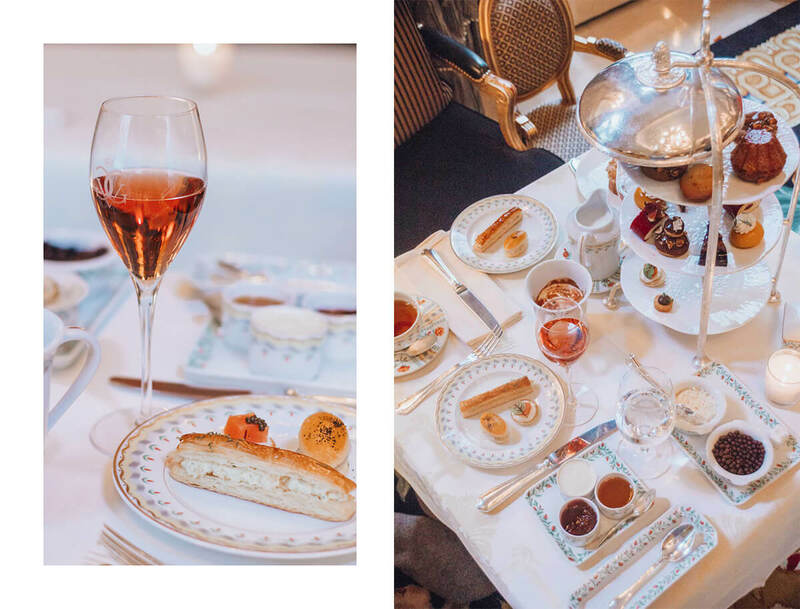 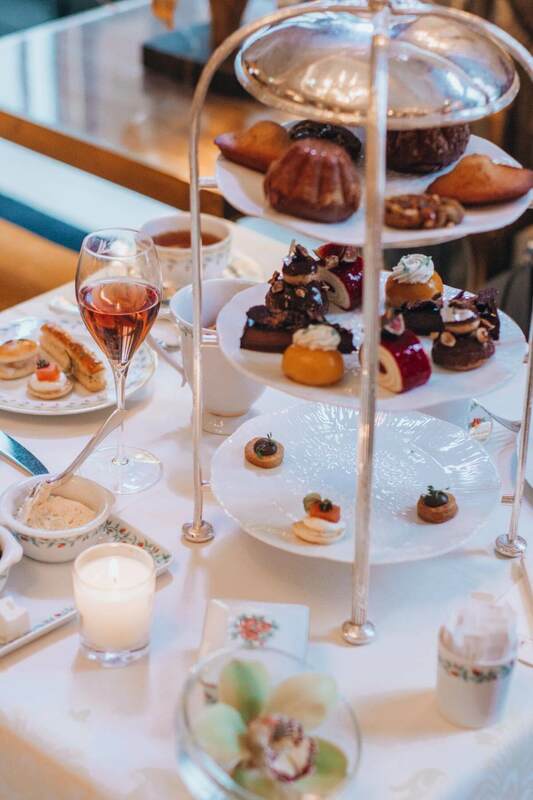 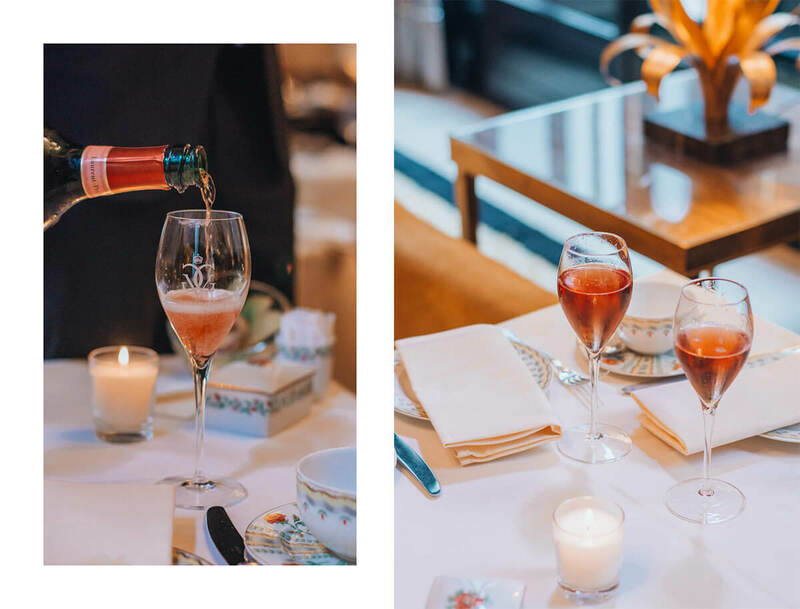 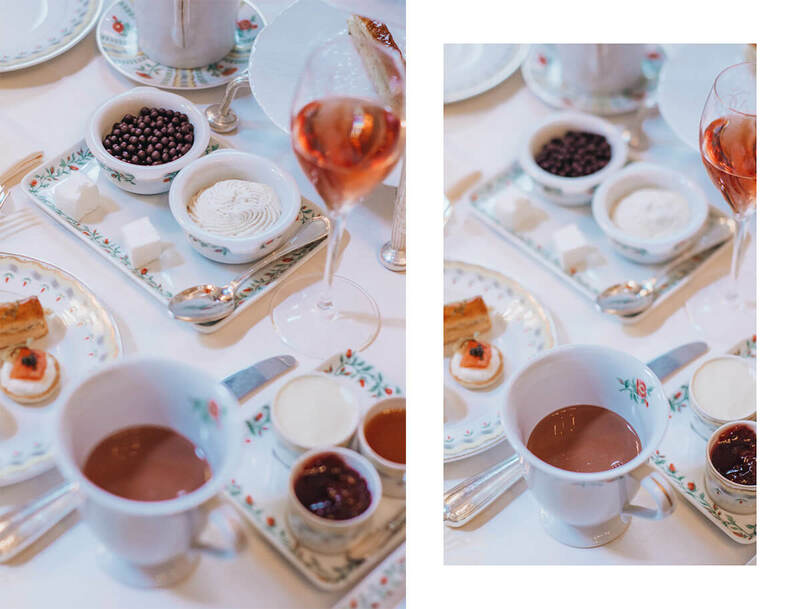 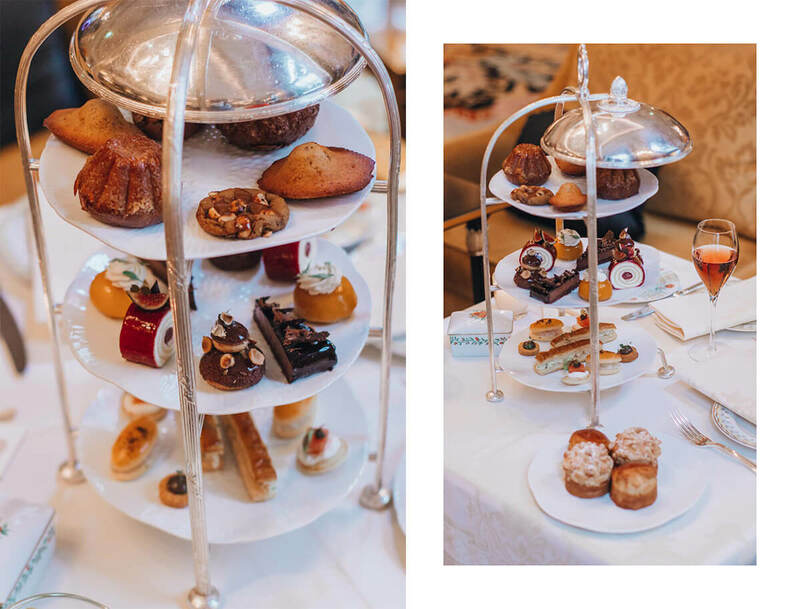 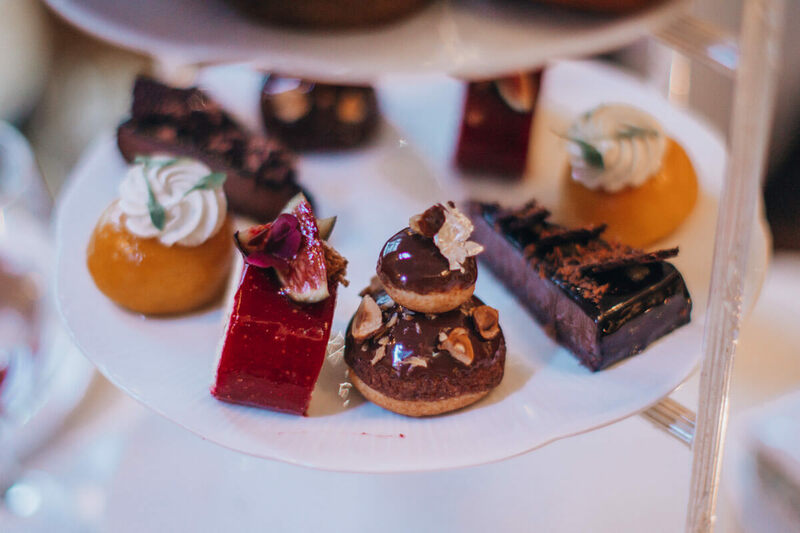 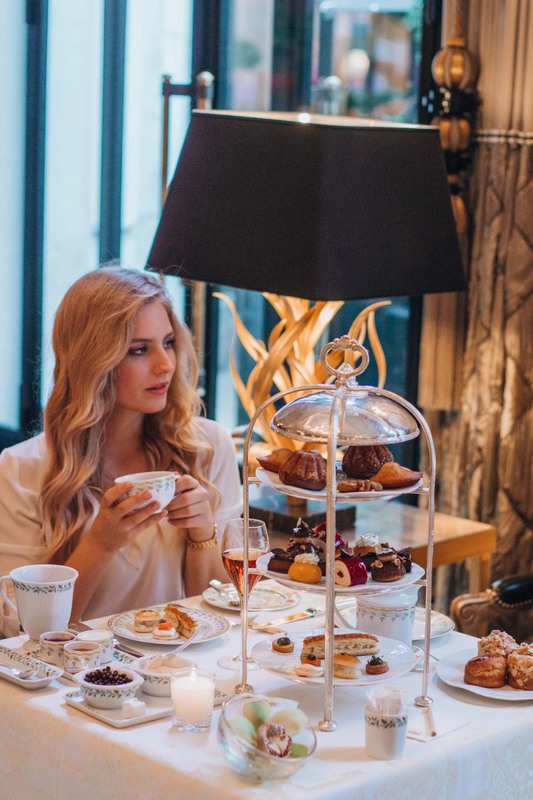 We decided to both go for High Tea “À La Française” (60eur per person), starting with a glass of Champagne, assortment of fine savories, followed by the selection of pastries, cannelés from Bordeaux, madeleine, financier and scones served with clotted cream and strawberry jam. 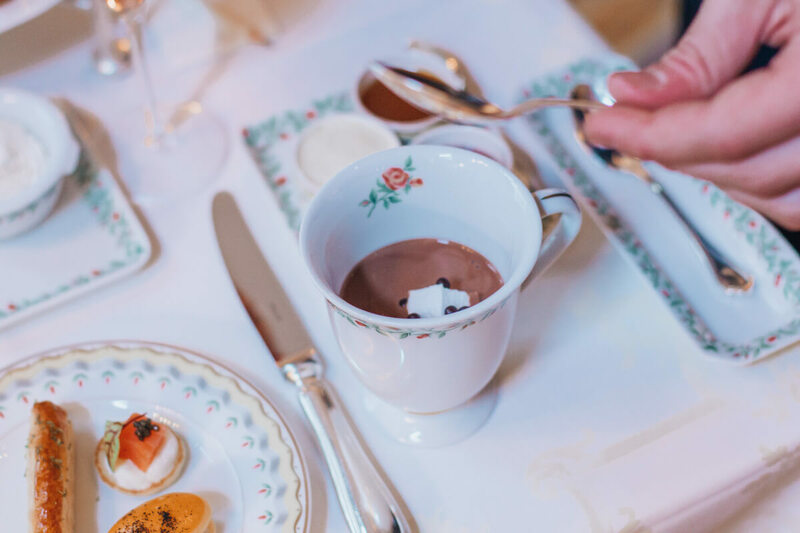 For our beverage of choice, we decided to try one from the rich selections of their teas and their traditional hot chocolate (24eur), served with milk, natural whipped cream, chocolate beads and marshmallows. 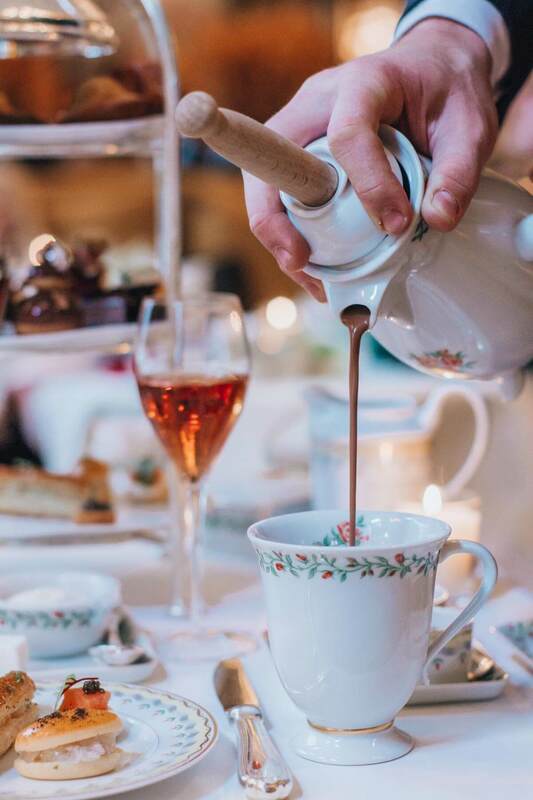 True chocolate heaven! 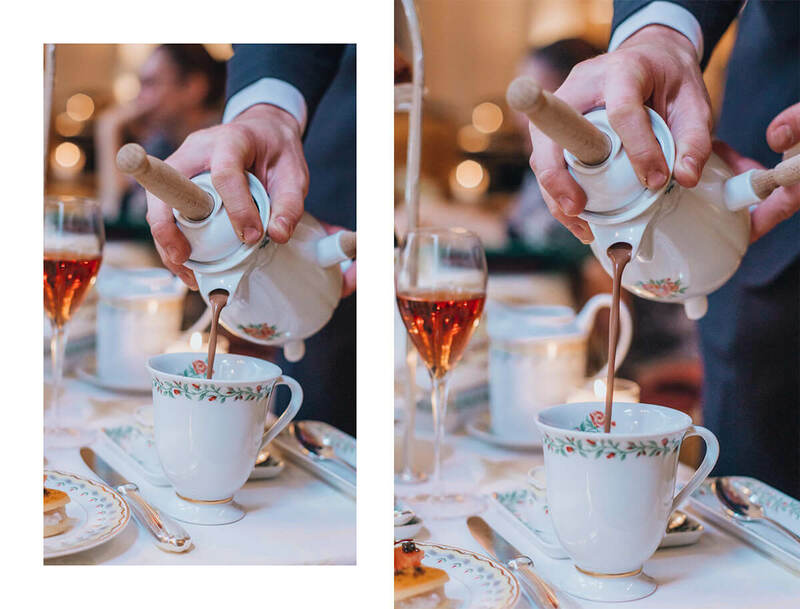 Together with the hot chocolate I was served Abatilles mineral water to enhance the chocolate flavour. 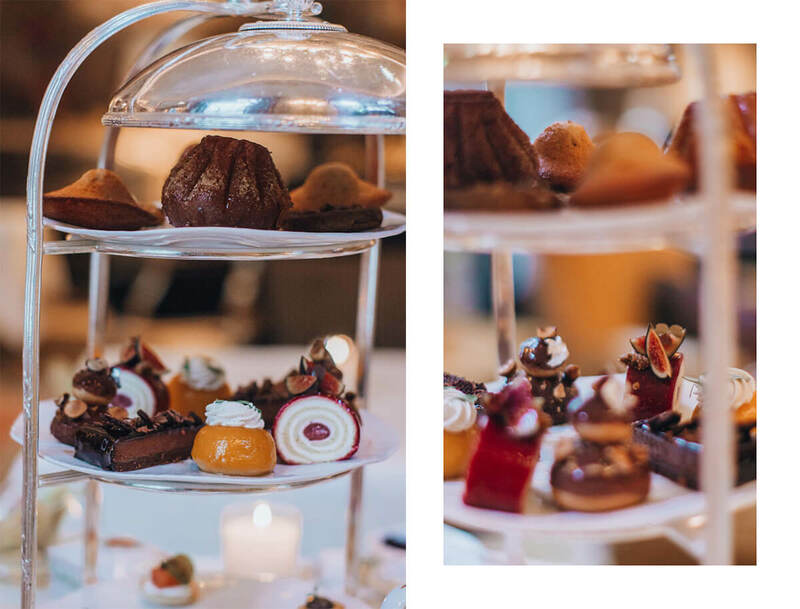 Chef David Bizet and Maxime Frédéric signed under these gourmet creations, which offers a perfect, balanced mixture of strong and subtle, traditional and experimental, powerful and simple flavours. 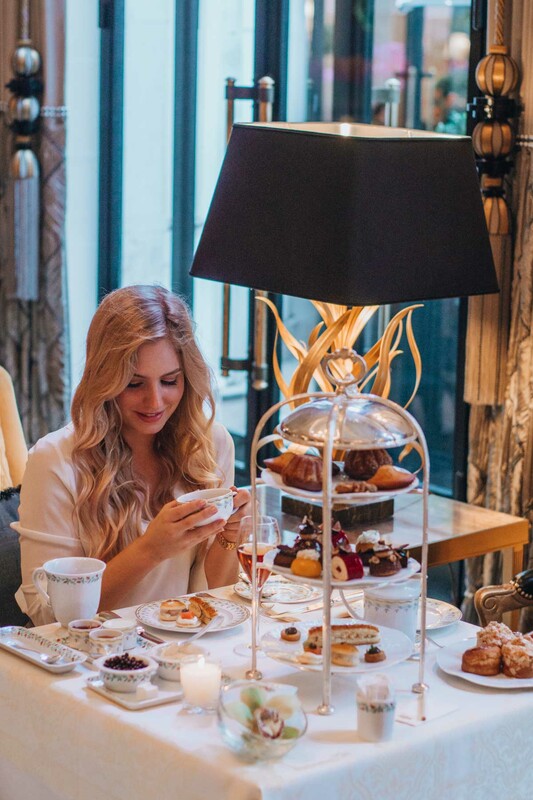 Afternoon tea worth the splurge!